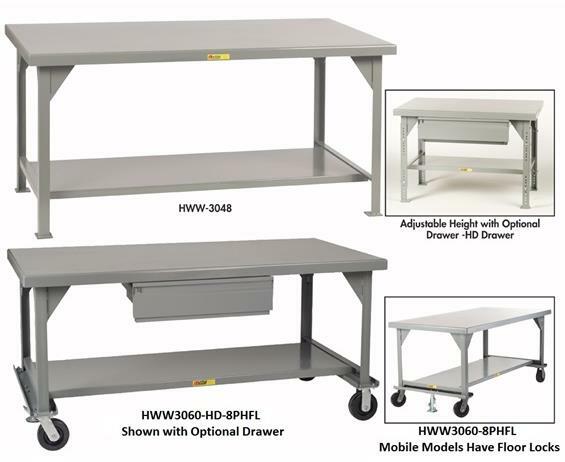 All-Welded Extra Heavy Duty Workbenches | Shelving, Inc.
Stationary models have a rugged 10,000 lb. capacity. Mobile models have a 5,000 lb. capacity. Extra strong 7 gauge (0.180 inch) reinforced steel top with rounded "comfort edges". Stationary models can support up to 10,000 lbs. Mobile models have a 5,000 lbs. capacity. Heavy 2" x 2" angle legs are 1/4" thick with welded 7 ga. gussets. Stationary models have 3" x 3" footpads with anchor holes. 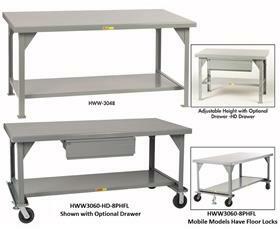 Mobile units feature 8" phenolic casters - 2 rigid, 2 swivel with floor lock. 12 gauge lower shelf for added storage. 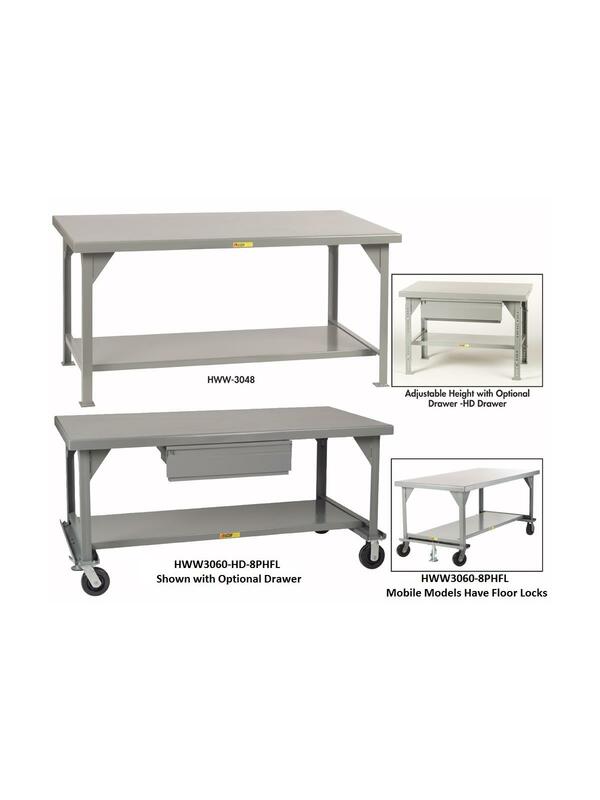 Fixed height units are 36" H. Adjustable height units adjust from 28" to 37" on 1" centers. Powder coated finish. FOB Shipping Point.